with a voucher to the club Pro Shop but a little bit of focus and effort will reap richer rewards. Here's a link to a recent Irish Examiner article on some 20 different golf gift ideas. Approach to Carne's fabulous 17th. The article covers books, clothing, food, new technology, magazine subscriptions, golf balls, gift boxes, calendars... You should find something in there and, if not, it will probably lead you in the right direction. I will give my golf photography website a shameless plug. You can buy prints of over 50 courses and in a variety of sizes at www.kevinmarkhamphotography.com... and if there are any other courses you want to see, just let me know (leave a Comment below). 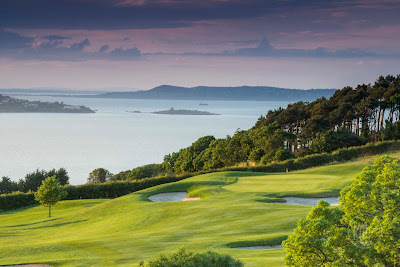 Bray's 11th hole - one of the images sold recently on my website. And there's the Carne Golf Links €100 as-much-golf-as-you-fancy offer, which runs from now until the end of March. Click here for more details. 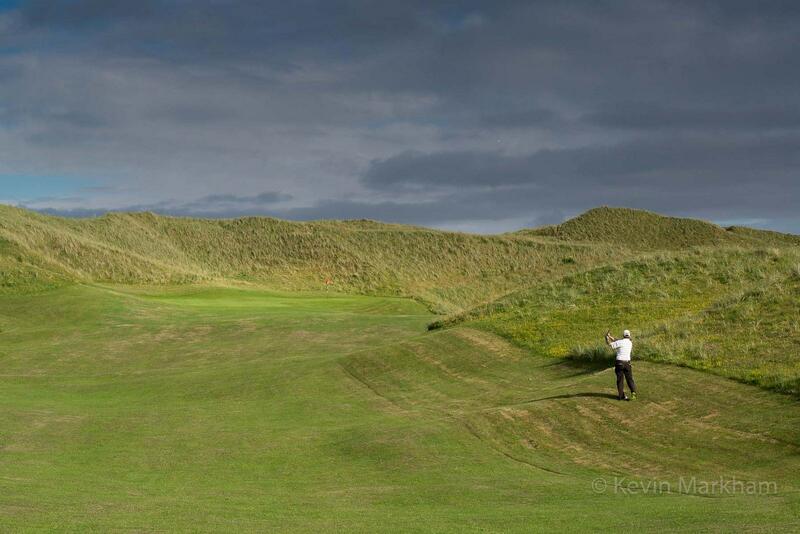 Whatever you choose, have a good one and enjoy that post-Christmas, pre-New Year game of golf. Maybe you'll have something new to try out.